This is Al Jazeera's video report on Sisi's statement about the energy crisis in Egypt. Watch the latest episode of Al Jazeera's Inside Story on Egypt's energy crisis. Deposed Egyptian president Mohamed Morsi will be tried on accusations that he handed over to Qatar documents relating to national security, the state prosecutor said on Saturday. The ex-president is already facing the death penalty in several trials, and his supporters have been the target of a deadly crackdown by authorities since his ouster in July 2013. The Islamic State (IS) group, fighting to redraw the map of the Middle East, has been coaching one of Egypt's most dangerous armed groups, according to a senior commander from the Sinai-based Ansar Bayt al-Maqdis. The remarks by the commander that the IS group is extending its influence to Egypt will sound alarm bells in Cairo, where the authorities are already facing a security challenge from home-grown fighters. The commander said Ansar Bayt al-Maqdis, which has killed hundreds of members of the Egyptian security forces over the last year, said the IS group has provided instructions on how to operate more effectively. "They teach us how to carry out operations. We communicate through the internet," the commander, who asked to remain anonymous, told Reuters. Egypt Grand Mufti has commuted the death sentence handed to the Muslim Brotherhood's spiritual leader, Mohamed Badie, to life sentence. The death sentence for seven others was also reduced to life sentence by Shawki Allam, the country's highest religious authority. Six others have been sentenced to death in absentia. Badie was sentenced to life by a court in June for the killing of police officers during a protest. In an unusual move, prosecutors had asked the religious leader to reconsider. United Arab Emirates were behind air strikes on armed groups in Libya. At a regular State Department briefing, spokeswoman Jen Psaki said: "We understand there were air strikes undertaken in recent days by the UAE and Egypt" in Libya. At the Pentagon, spokesman Rear Admiral John Kirby also said the two countries were believed to be involved in the strikes but declined to give details. However, late on Tuesday the State Department issued a statement saying the comment on Libya was "intended to refer to countries reportedly involved, not speak for them". Egypt has warned that a spillover of lawlessness from Libya could prompt foreign intervention, saying this should be avoided as diplomats discussed the spiralling violence in the North African country. Egypt's Foreign Minister Sameh Shoukri spoke at the opening session of the meeting with the foreign ministers of Libya's neighbouring countries on Monday, two days after Cairo denied armed rebel accusations that it had conducted an air strike against Islamists in Tripoli. The Cairo meeting of foreign ministers came after Islamist militias said they had seized the airport in the Libyan capital. 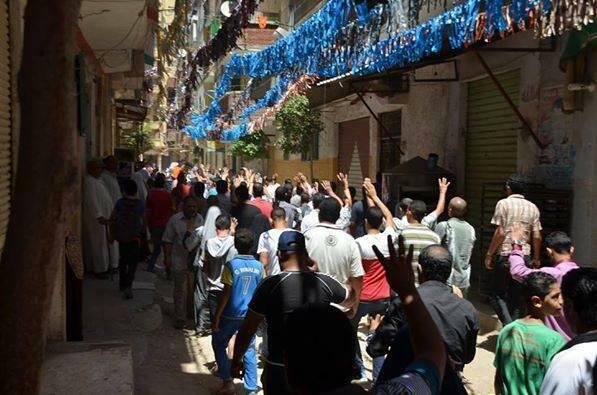 It's the first anniversary of Egypt's Rabaa massacre, where hundreds of protesters were killed. Take a look at some of these picture. 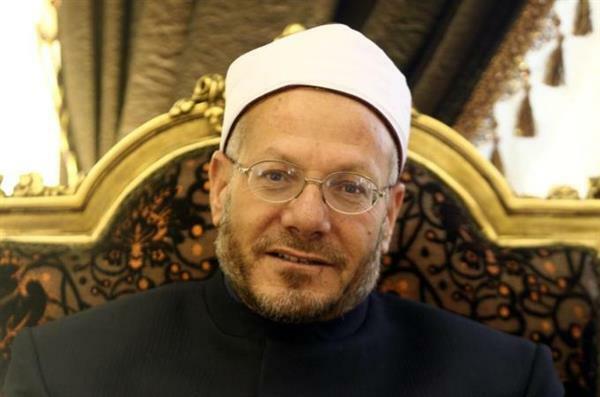 Court asks country's top cleric to reconsider rejection of death sentences for Muslim Brotherhood leader and supporters. Another state news outlet, Al-Ahram, quoted a police officer who said those killed were inside the car and were likely to have been on their way to carry out a "terrorist operation". Two children have been killed and three other people wounded when a rocket hit near their homes in Rafah, an Egyptian town near the border with Gaza, Egyptian state news agency MENA has reported. Security officials are investigating where the rocket came from, the report said. Egypt will summon the Turkish charge d'affaires in protest at comments by Prime Minister Tayyip Erdogan, who accused Egypt of lacking a sincere approach to the Palestinian issue, the Egyptian Foreign Ministry has said in a statement. Erdogan made the comments in a recent interview with broadcaster CNN. The most senior Turkish diplomat in Egypt was already summoned last month after Erdogan called Egypt's President Abdel Fatah el-Sisi an "illegitimate tyrant". 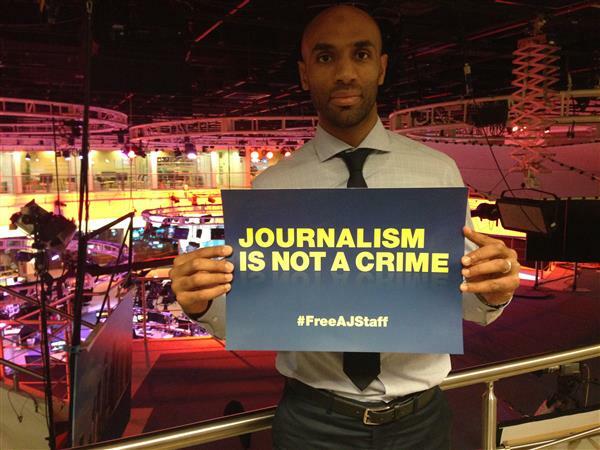 Abdel Fattah al-Sisi, Egypt's president, has said the sentencing of journalists in the country has had a "negative effect" and that he wished they had not been put on trial. Sisi told the mass circulation daily newspaper Al-Masry Al-Youm: "Some look at us as if we are interfering in the judicial system. "The verdict issued against some journalists had a very negative effect, and we had nothing to do with it. Former army chief Sisi, who won elections last May, a year after overthrowing President Mohamed Morsi, has said he will not interfere with Egypt's courts, which the government says are independent. 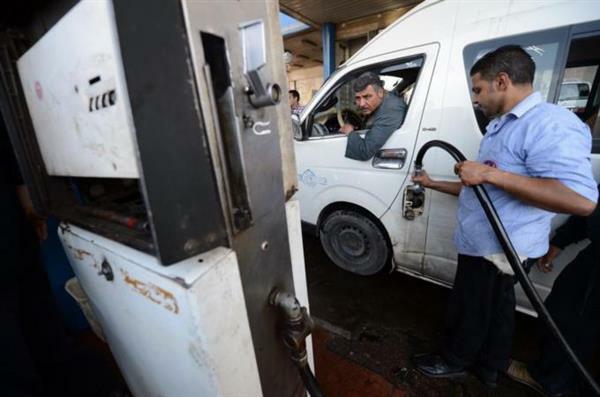 The government raises the prices of fuel by up to 78 percent, following on a promise to cut subsidies. Three people are believed to have been killed in an explosion early on Friday at a house south of Cairo used for making bombs, the Egyptian state news agency MENA reported. The explosion was in a brick building in an agricultural area in the town of Abu Kasah in Fayoum province, it said, adding that experts found more than 20 explosive devices at the scene, which they were defusing. "Remains of bodies, estimated to be three, have been discovered and the identities are being determined," MENA said. The explosion came hours after nine people were wounded when a small bomb went off in a train in the Mediterranean city of Alexandria. An Egyptian court has sentenced the youngest son of former president Mohamed Morsi to one year in prison on charges of possession and use of hashish. A court in Banha handed down the sentence and fine of $1,400 for Abdullah Morsi and one of his friends. Morsi's defence lawyer, Mohamed Abu Leila, said the case "was fabricated". "Rulings nowadays don't deserve comment; the entire system is defective," Abu Leila said. Morsi was arrested on March 1 after allegedly being found in possession of two hashish joints while he and a friend were in a car parked by the roadside in Qalyubia province, north of Cairo. Abdullah Morsi had denied the charges. Morsi's other son, Osama, had dismissed the accusations, saying his brother's arrest was an attempt to "defame the family". An Egyptian policeman has been killed after a small explosion near the presidential palace in Cairo's Heliopolis suburb. Read our full report here. A Cairo criminal court has ordered the release of the sons of former president Hosni Mubarak, following investigations into charges of illicit gains. Alaa and Gamal Mubarak were both accused of using their father's influence to acquire wealth, and will have to pay $140,000 dollars for bail each. However, the brothers are unlikely to be released as they are serving four year jail terms for embezzling state funds allocated for the renovation of the presidential palace. 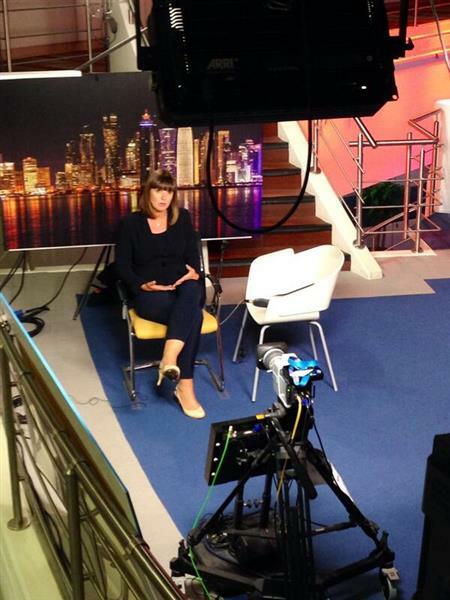 Deputy UN ambassador defends judiciary in face of international outrage over sentencing of Al Jazeera journalists. 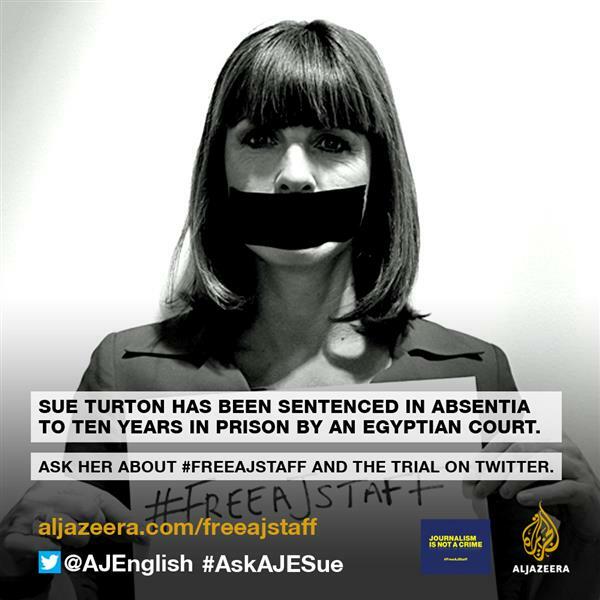 Al Jazeera reporter says he is "devastated" that his reporting from Egypt will see him spend seven years in prison. 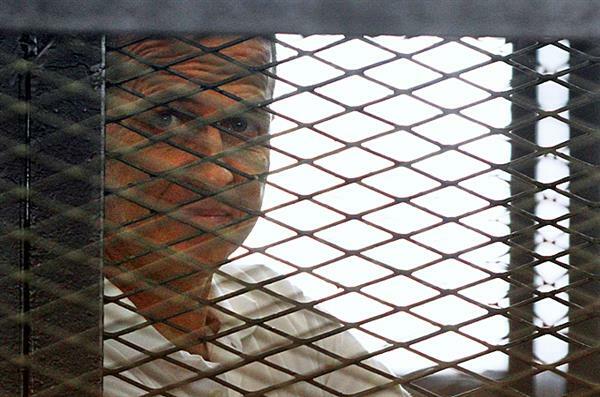 Al Jazeera correspondent Peter Greste has issued his first statement since being handed a seven-year prison sentence by an Egyptian court, decrying the ruling. Addressing his family members, Greste said he was "devastated and outraged" by Monday's verdict that saw Egypt's state prosecutor "consistently fail to present a single piece of concrete evidence" against him. I am devastated and outraged by Monday's verdict. Throughout this trial, the prosecutor has consistently failed to present a single piece of concrete evidence to support the outrageous allegations against us. At the same time our lawyers have highlighted countless procedural errors, irregularities and abuses of due process that should have had the entire case thrown out of court many times over. That is why I intend to do everything I can and consider all possible measures to overturn the conviction. The verdict confirms that our trial was never simply about the charges against us. It has been an attempt to use the court to intimidate and silence critical voices in the media. That is why I know that our freedom, and more importantly the freedom of Egypt's press will never come without noisy, sustained pressure from individuals , human rights groups, governments and anyone who understand the fundamental importance of a free press to Egypt's fledgling democracy. We are all grateful for the extraordinary and unprecedented public support that countless people have offered us throughout this ordeal. It has kept us strong and continues to do so. We must all remain committed to fight this gross injustice for as long as necessary. 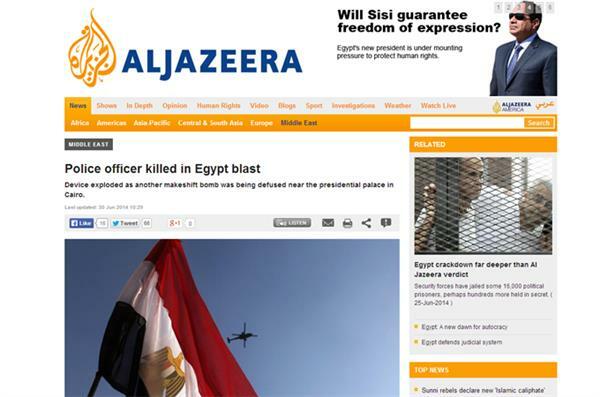 The verdict has provoked international outcry and raised fears of growing media restrictions in Egypt. 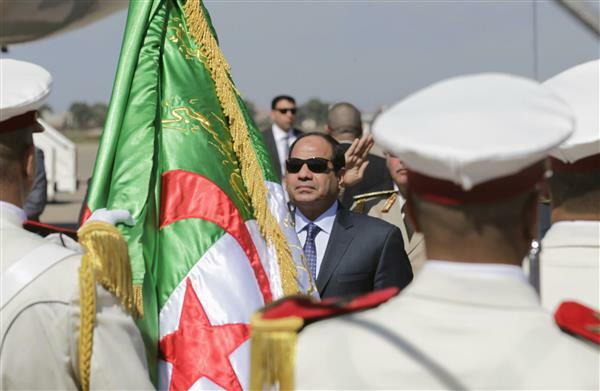 Egypt's President Abdel Fattah el-Sisi has traveled to Algeria to discuss security issues in North Africa and Libya. In his first trip outside the country since swearing in as president earlier this month, Sisi told state TV upon landing Wednesday that he came to "coordinate efforts regarding terrorism and the situation in Libya." 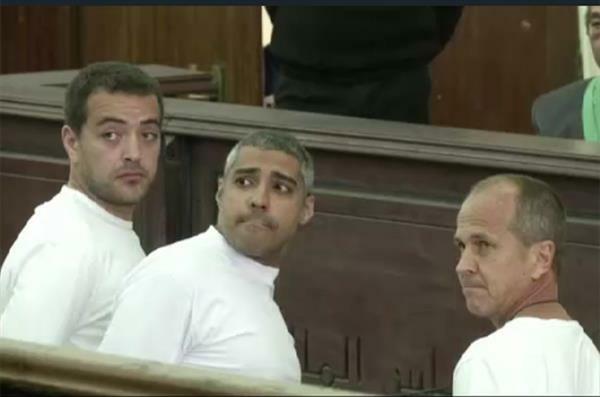 Journalists from around the world will be holding a minutes silence to mark the sentencing of Peter Greste, Mohammed Fahmy and Baher Mohamed to at least seven years in prison on Monday. 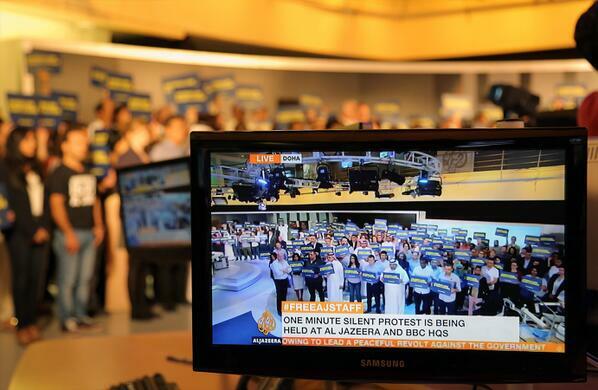 You can watch Al Jazeera's journalists in London, Doha, South Korea and Kenya, taking part in the vigil at 08:41 (GMT) on our live stream.